My friend Andrea shared this recipe with me years ago. I made it this holiday as part of Christmas brunch. It looks so festive and is tasty and refreshing too. 1. Peel and cut between membranes of citrus to remove sections. You can do this the night before. 2. Cut the mint leaves with kitchen scissors into thin strips. 3. 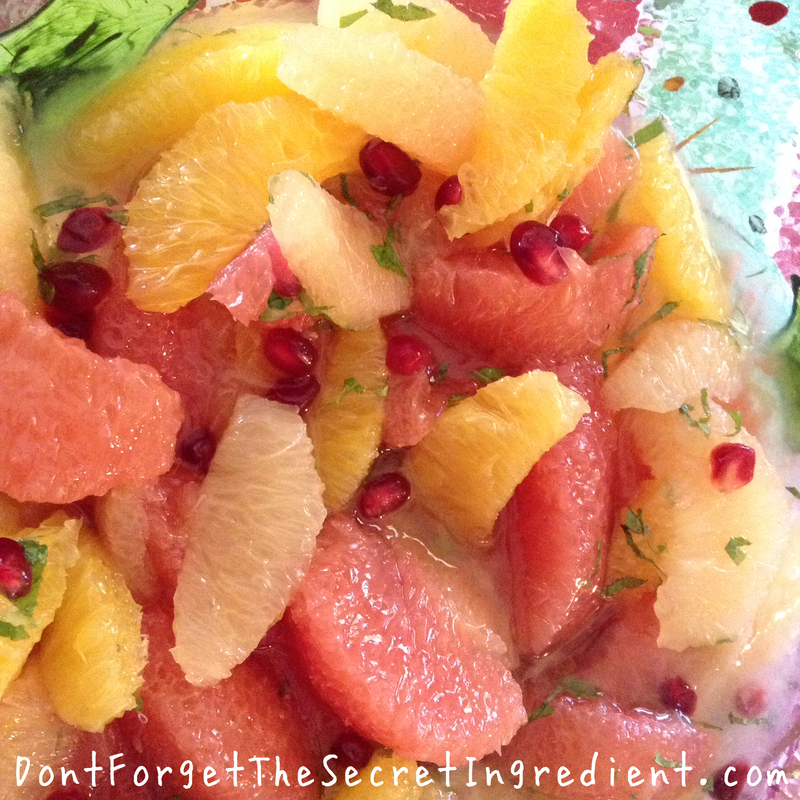 Mix the mint in with the sugar and add pomegranate seeds or cranberries. 4. Sprinkle over the fruit and stir lightly. Psst! I sometimes cheat and buy the fresh citrus already peeled, cut and sweetened. Del Monte markets it in a glass jar that can be found in the refrigerator section of most grocery stores.